This Week In Covieland has been in Hiatus this week, due to a removal of a wisdom tooth that has seen TWIC curled up in bed since Mad Monday. 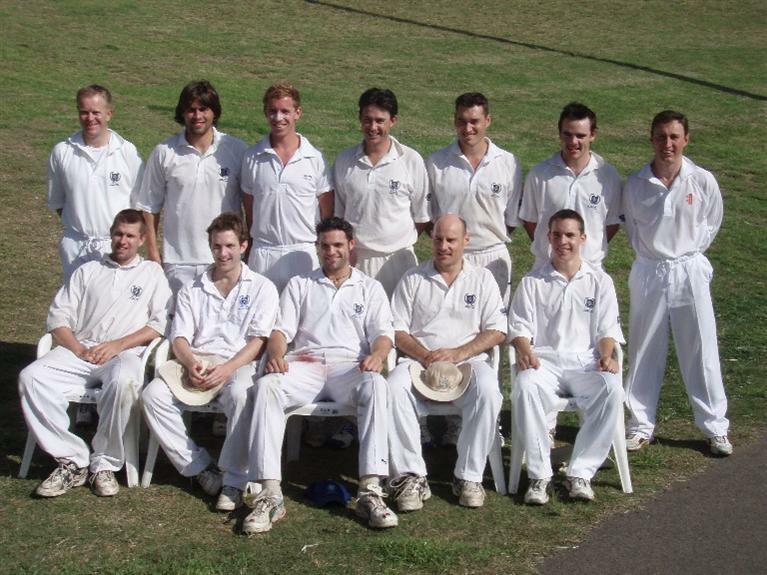 But the main story of the week is how the Mighty Third Grade Covies were pipped at the post by the undefeated and magnanimous Burwood side (who surprised several Coves with their somewhat inaccurately one-sided report on their website. In response, we offer our version here). Our 3rd Grade heroes, proudly led by Pusie Boyle, fought to the end, and almost brought the JB Hollander trophy home. Burwood eventually passing us 9 wickets down. 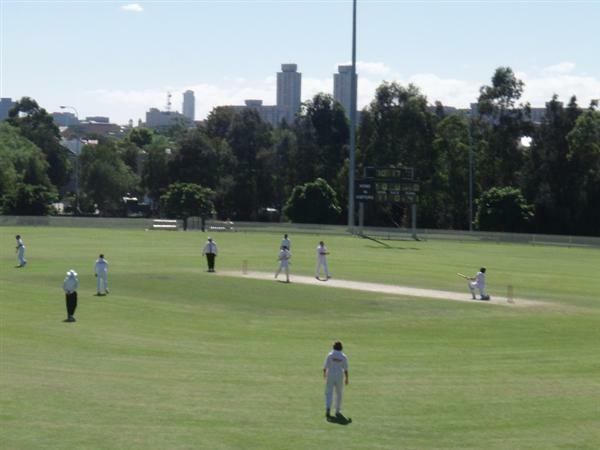 It was a beautiful batting deck that greeted third grade at Alan Davidson Oval on Saturday, and when Pusie called correctly for the first time in many weeks, he had no hesitation in electing to bat. As they have all year, openers Geof Sundstrom played his shots, and Paul Backhouse settled into the anchor roll. A fine opening stand of aggression from Geof, and controlled placement from Pauly got the Covies off to a great start before Geof mistimed one, and Burwood had Geof caught with the score on 51. Rowey joined Pauly and these two took full advantage from some poor Briars bowling and blasted the attack all around the field. Paul was looking set for a big score, when a rush of blood to the head just before Lunch had him run out for a fine 26. 2 for 104 at Lunch had us set up for a big score, however some improved bowling and some poor shot selection had us in trouble with season top run scorer Chris Granger out for a duck and regular run scorers James Harpham, Brendan Hood and Chris Camarsh all failing to build the score. Pusie Joined Rowey and these two took us to 181 before Rowey left a straight one and was bowled for an excellent 87. Rowey's dig was without question the best performance with the bat by either side, and he deserves special mention for what was a tremendous Grand Final innings. After Rowey went, things fell away, and we were dismissed on Tea for a disappointing 204, when 250-300 should have been our total after the start we had. We got back into the swing of things when Robbo had their opener Hall out with the score on 0 in the third over, and Pauly took a fine Caught and Bowled to dismiss their top run scorer for the season Jardim the next over, and Briars found themselves at 2-0. Their skipper Harris and Hudson then settled things down putting on 60 before Harris was taken by a fine catch at mid wicket by Canny off the bowling of Marshy. Hudson went 5 runs later to a good catch by Hoody in the covers and the Coves were back on top. Howle lived a charmed life, surviving no less than 6 good LBW shouts (and about 12 not so good ones), as did Jalalarty, who was dropped very early in his dig. Howle was finally dismissed caught behind and the Coves went to stumps feeling just on top with Burwood 5-91 at the end of a see-sawing day one. Day two saw Jalalarty and Khalkho, the two who did a job on us earlier in the year, bat sensibly, if not slowly, as they tried to steer their side towards the 205 needed for victory. The first session was frustrating as many LBW shouts were turned down that could have been given. Jalalarty was again dropped, but the only chance given was certainly a tough one. 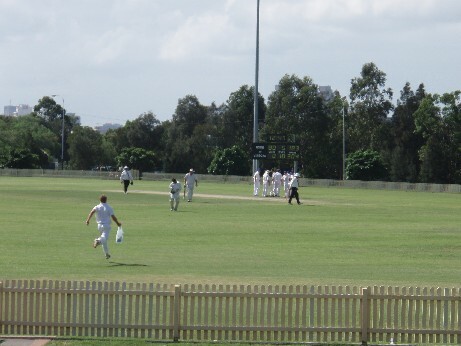 At Lunch, Burwood had crawled to 149, but were still only 5 wickets down. 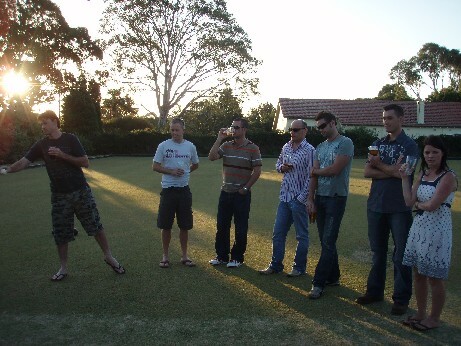 The Covies regrouped at Tea, and knowing we only had 9 overs before the new ball was due, concentrated on keeping the ball outside off to strangle the batsmen's scoring abilities. This was not executed as well as we would have liked and Burwood had moved to within 25 runs when the new ball was taken, still only 5 wickets down. It was up to Pauly Backhouse and Chris Camarsh to take us home, and Pauly was the first to answer the call when he had Jalalrty finally caught at point for a crucial 41. The next over Marshy bowled Khalkho for an eventually match-winning 60, and Burwood were now 7-188 with two new bats at the crease. Pauly then had Mick Towells caught at second slip by Marshy and Burwood were 8-190. The next over he bowled he had Saleh caught by Stipey at first, and the Coves, with Burwood 9-192, were within tasting distance of their first JB Hollander trophy since 1973-74. Their number 9, Evison, then batted as he normally does, which was the way to do it. He hit the most important 16 not out of his life as he saw Burwood over the line in the most thrilling of finishes. Congratulations are extended to Burwood. They dominated sides all year and deserve the premiership. To the Coves, we can hold our heads up high, boys. We took a side that no team in the comp got anywhere near all year, and were just pipped at the post. Pus has asked TWIC to let the entire side know that he is very proud of all of you, and it has been an honour to have been on the ride with you. The whole Club feels the same way. Frank Gray Premiers - Our first ever. Au Revoir my dear dear Covie friends. It's been emotional. "Go the Coves, I Love the Coves, I do it for the Coves..."